Alcohol abuse is a serious problem that impacts the lives of men and women every day. 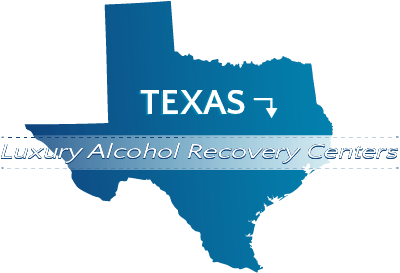 In Texas, almost 48 percent of residents drink alcohol and almost 23 percent admit to binge drinking, says the Substance Abuse and Mental Health Services Administration. Perhaps more concerning is the fact that roughly 25 percent of youths between 12 and 20 drink alcohol and about 16 percent of youths binge drink. Luxury treatment facilities are a solution that can help with the process of recovery when other options have not worked or you prefer a comfortable environment throughout the treatment process. A luxury treatment program is a type of facility that offers treatment in a comfortable space. You may have extra treatment options available to address your goals and concerns or it may offer gourmet meals and special features that are not available in other treatment facilities. Although the specific options that are available can vary slightly, you should expect extra treatment options at a luxury program. Furthermore, you should be offered a personalized treatment plan so that it is possible to address personal concerns regarding treatment. Luxury treatment facilities will usually cost more than average when compared to other treatment options. Since the median salary in Texas is roughly $50,200 according to the U.S. Census Bureau, many residents of the state may not be able to afford treatment at a luxury facility. While the cost can be high, some facilities will accept medical insurance. Payment plans or sliding scales are not usually available at luxury facilities, but there may be programs to help with the payments. Treatment facilities are available throughout the state of Texas, but not all of the facilities are designed to offer a luxury experience. As a ranch setting, the treatment program offers assistance through work and responsibility. Individuals are expected to take on a greater amount of responsibility, which in turn helps reduce cravings for alcohol and builds up a sense of trust with the horses. As a program that focuses on individual needs, the treatment plan can depend on the specific factors that are causing addiction to continue. As a program that focuses on medical treatments and modern solutions, it can help individuals who are facing difficulties with cravings or who have relapsed in the past. The best treatment plan for any individual can depend on a variety of factors. To learn more about treating an addiction to alcohol or luxury programs that are available, contact AlcoholTreatment.net.